The biggest myth perpetrated upon the world is that Islam is a religion. Forget the religion of peace mantra for Islam is neither a religion nor peaceful. They are an Islam Idiocracy without borders. The Islam Idiocracy governs all Muslims and those who embrace Islam anywhere in the world regardless of other laws or culture. Religion is but one of the eight or so components of Islam Idiocracy. Islam consists of a judiciary system of civil and moral laws they call Sharia and Hadith; business, financial, economic and political systems of governance; military, religious and societal structure. Islam does not assimilate into other cultures but by nature dominates them. Let’s begin with a video from an ex-islamic woman. Very few people know and understand the true nature of Islam even though we have 1,400 years of documented history to draw from. So how and why has this myth been perpetrated? There should be no doubt based upon the evidences available in recent history that Islam is not peaceful nor can it be defined as religion. 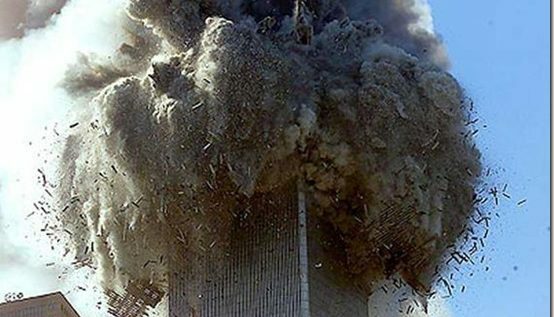 Since the days of President George W Bush and the 911 Islam Terrorist attacks the steady and loud drumbeat of “Islam is a religion of peace” was pounded into the minds of Americans by the LameStream Media’s fake news on TV and radio including many conservative talk radio hosts, politicians and yes, even Christian churches and organizations. 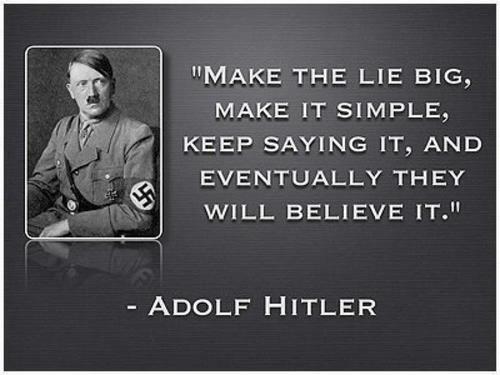 The lie persists today and will no doubt continue tomorrow. Eventually the constant and incessant mantra of ‘religion of peace’ entered the hearts of Americans reared on the tenets of Judeo-Christian love. Americans will always embrace a message of peace for we are predisposed to such through our faith. Christian Americans cannot comprehend the Islam Idiocracy of global conquest based on forced submission or death. 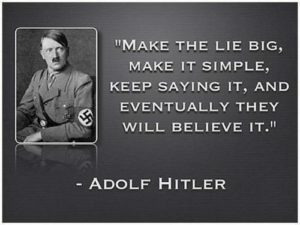 The Marxist strategy of “if you keep telling the same lie over and over and over again people will eventually come to believe it” rings true. Islam … not just ISIS, ISIL, Muslim Brotherhood and other Islam terror groups predominate Muslim geopolitical nations. While there are factions that differ on interpreting Islam as their system of governance, all agree only ISLAM has the right to govern. The factions of Islam will violently advance their interpretation of Islam upon each other. Shall western nations be naïve enough to presume Islam Idiocracy will not violently oppose non-Islamic nations from governing in accordance to their laws and culture? Not at all for Islam will seek to overwhelm them as well. Islam is a system of global conquest. Look at what Islam is doing to Sweden, France, Germany and Europe! The Islam Idiocracy teaches there is no other governing authority on planet earth higher than Islam and therefore Islam is “superior to” and “not subject to” any law or cultural norm other than Islam. The Islam Idiocracy has its own political, economic and civic systems and laws it is subject to. Therefore it is impossible for the Islam Idiocracy to assimilate or peacefully coexist with any non-Islamic nation for Islam Idiocracy must dominate and subdue infidel nations into subjection to Islam. Islam literally means subjection. All infidels must also be brought into full submission to Islam, regardless of which nation they reside, starting with host nations. The Islam Idiocracy mandates that ALL HUMANITY become subject to their false god Allah and his prophet Mohammed by any and all means to achieve its stated goals … worldwide submission. Islam Idiocracy is based upon three primary sources for their rule of law: Quran, Hadith and Sharia. Jihadi is the means by which all not in submission to Islam are to be brought into submission through the doctrines of the Quran and Mohammed as taught by Hadith. Jihadi is understood by many to mean “holy war” and at times that is true. Jihadi ‘holy war’ is dominated by but not limited to armed conflict. Jihadi is defined under Islam to mean the “holy struggle” to bring all nations and peoples into subjection to Islam by whatever means necessary. Violence and deception, ‘taqiyya’ are predominant tactics of jihadi. Build a Mosque: Serves as the central information and meeting place; barracks; armories and arsenals for Islam jihadi warriors under the guise of religious worship. A mosque is not an exclusive religious house of worship and cannot be equated with Christian churches, temples or Jewish synagogues. Mosques cannot be put into that category for Islam sees armed conflict and jihadi as a holy obligation necessary to achieve its objective of full submission. A mosque is more like Western Christian or Jewish community center and not a house of worship. Create an Enclave: Each mosque represent the focal point for Islam and control over their local communities. Mosques are central to Islamic enclave building and multiply to become a nation within a nation until large and plentiful enough to dominate the host nation. Grow the Islam Population: Achieved through natural birth, legal and illegal immigration and conversions into Islam. Islam will never assimilate into the culture for this defies a fundamental tenet of Islam but will temporarily feign assimilation under Taqiyya until such time the host may be subdued. Claim Victimhood: An all-out assault upon the hosts societal systems, norms, practices, culture, economic, political, religious, educational, and employment as hostile and discriminatory in an effort to bring about fundamental change. Overwhelm: Resist, Defy and Remove the host nations norms, customs, laws and religions. Muslim Brotherhood, CAIR are but two examples of organizational jihad and there are many other organizations which target specific aspects of the host nation’s culture, economy, education and especially the judicial, legislative and political systems of government. 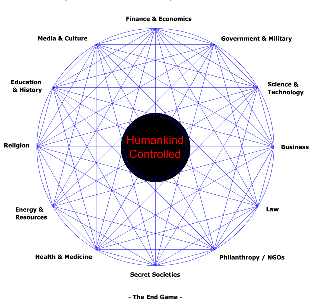 Exploit: Welfare, taxation, political and economic systems to own land and businesses to accumulate wealth and power. They seek to drive out and displace property and business owners. Institute Sharia law: Sharia law expands beyond the enclave to overwhelm local, city, state and federal law. Secede: When numbers and enclaves are substantial enough each enclave will demand independence and self-rule not subject to the host nation laws and system of governance. We see this with their many “no-go” zones where even police are denied entry. The secession begins small and will expand until the entire nation is subject to Islam. Take Control: This is when the nation may be declared an Islamic state. There is always going to be pockets of resistance and perpetual violent skirmishes between the host remnants and Islam. 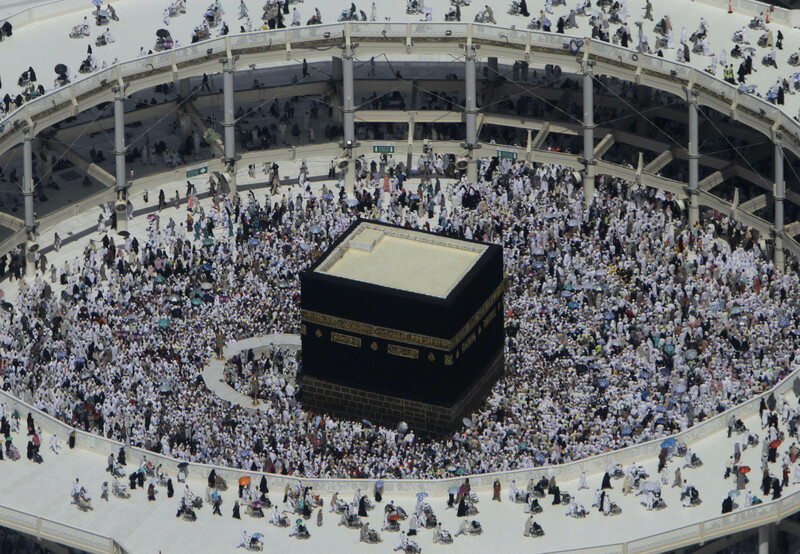 Islam itself is also divided into warring factions called Sunni and Shia. They disagree on certain interpretations of Quran and Hadith but share more in common. It is not uncommon for Islam to war on minor disagreements of doctrine. Sunni and Shia are not like denominations in Contemporary Christianity but more like two opposing political parties under a singular constitution. Their disagreements however incite violence that frequently becomes deadly. Islam Idiocracy is never subject to any laws of man, government or religion and will eventually demand absolute adherence to the tenets of Quran, Hadith, and Sharia law. Islam Idiocracy will never assimilate with other nations, laws or culture for the idiocracy exists to dominate and overwhelm the host nation. All men, women and children under ISLAM are to engage in their own form of Jihadi which is holy “struggle” and “war” to expand and implement ISLAM. Jihadi is the means by which the Islam Idiocracy converts all infidels into total submission; the direct translation of Islam is Submission and any refusal to fully submit to Allah results in death. Any “non-secular” Muslim nation not in full submission to Islam will by the laws and teachings of Islam suffer a fate worse than that of the infidels. For any Muslim that rejects Islam will be treated worse than an infidel. Very few Muslims dare to speak truthfully about Islam for fear of painful, torturous death. TAQIYYA (DECEPTION) JIHADI: Early immigrants will customarily engage in community good works and other deceptions to lull infidels into complacency by feigning friendship, cooperation and neighborliness. As an international strategy taqiyya uses with treaties with foreign governments as opportunity to reconstitute, build up arms, armies and military in general until advantage is gained. Will violate treaties immediately when the prospect of overwhelming is established or perceived. OCCUPATION JIHADI: Overwhelming the population of infidel nations via legal or illegal immigration until such time that the Islam population is dominant enough to take control of the political and economic systems to impose Sharia Law. Mosques are immediately built to serve as the central information and meeting place; barracks; armories and arsenals for Islam warriors under the guise of religious worship. CULTURE JIHADI: Assaults upon the infidel culture to demand accommodations and special treatment; demand halal food preparation and distribution; will stage protests, demonstrations and marches to proclaim unfairness, discrimination and persecution. Will not assimilate, but rather seeks to have host nation accommodate Islamic demands. PROPAGANDA JIHADI: Assaults infidel media and communication organizations and outlets with propaganda proclaiming Islam as peaceful; benevolent; and benign. Islamic groups will demonize all opposition to Islam as evil, hostile and unjust to garner sympathy. In the United States CAIR, Muslim Brotherhood and the Islamic Society of North America are but a few examples. ECONOMIC JIHADI: Will demand implementation of Sharia for economic and banking transactions; demand governmental financial assistance based upon oppression and discrimination; purchase significant real estate parcels and other real property. LEGAL JIHADI: Aggressively file complaints and lawsuits against infidel individuals, institutions, schools, colleges, businesses and governments claiming societal, cultural, behaviors, norms and laws as discriminatory, oppressive and unjust to Islam. Will run and hold government offices to advance Islam, repeal laws to impose Sharia law. VIOLENT JIHADI: Terror, the threat of terror, extreme violence, fear, intimidation, physical and sexual assaults, maiming and decapitations to force the infidels to cower into docile submissiveness. Used as a means to overwhelm and dominate host nations or bordering enemy nations. ALL Islam engages in one or more Jihadi which is designed to lull, assault and terrorize infidels into Islamic Submission. Those who refuse are executed via beheading or hanging. Islam declared war upon all infidels worldwide and are here in the United States now with millions more coming. True Jihadi is to be engaged by every Islamic man, woman and child. Because this is terrifying, frightening and contrary to the lies and misinformation being systematically fed through the government, propaganda media, Islam itself and yes, even some Christian and Jewish groups, churches and synagogues; most do not fathom the dire and dangerous peril Islam represents. Jihadi is not the exclusive providence of militarily attacks with bombs and bullets but is a multi-faceted and integrated assault upon host nations. When are we going to learn that CAIR, Muslim Brotherhood, Linda Sarsour and all other Islamics’ are engaged in their own Jihadi mission? Don’t let the different “missions” fool you for Islam exists to take-down their enemies and this is not done entirely with bombs and bullets. We had an Islamic President in Barack Hussein Obama. Evidence proves he was born in Kenya; and his posted Hawaiian birth certificate is fraudulent in 9 specific points and exists only in cyberspace. If you simply allow his non-birth name to sink in he is clearly Muslim and Islam. Barack Hussein Obama has pushed for Islam expansion globally and domestically. Currently in the United States of America, there are more than 1 Million Islam immigrants that have come to America since 2009 with another million more slated within the next 5 years. Our federal government has betrayed the American people by having open borders and financing this invasion by illegally settling Islam over 180 cities across America. We now have about 40 enclaves with many as no-go zones. Dearborn, Michigan has fallen to Islam and is the first of many cities in America to fall unless we actively stop the invasion. Did you know that Islam immigration to the United State is illegal under immigration law? Public Law 414, Title 2, Chapter 2, Section 212 prohibits Islam immigration. The deep state and shadow government are globalists and the Islam invasion is but one of their plans to overwhelm the culture with foreign elements that will not assimilate. Abortion is also a strategy to limit the number of American births and replace the population growth with legal immigration and illegal aliens. It’s time to PATRIOT-UP to defend your families, your home and your property. We see the hostile nature and war being waged against America through the multifaceted coup d’état being waged against America to depose our duly elected President Donald J Trump. The incessant leaking of classified and top secret information by the deep state and shadow government; the congressional globalists in congress opposing the dismantling of the globalist infrastructure and the re-tooling and building of the American manufacturing base; the judicial globalist judges blocking all attempts to limit hostile players from entering our nation and many, many other vile offenses are evidences of the violent coup. The political establishments of democrats and republicans have made it succinctly clear our own government is orchestrating this invasion and coup d’état of America. Wake Up America and defend Liberty. If we do not make our stand now we lose liberty forever! We must rally our support for President Donald Trump and his immigration policies if we are to survive as a nation. We must also join in the Great Purge of 2018 to rid ourselves of establishment republicans (GOPe) who embrace globalism, open borders and the Islam invasion. This means our battleground is at the PRIMARY election to rid ourselves of the RINO GOPe. The Primary election is the ONLY PLACE where we can replace the RINO with America First candidates to #MAGA. Only then will we see positive change in Congress and America. 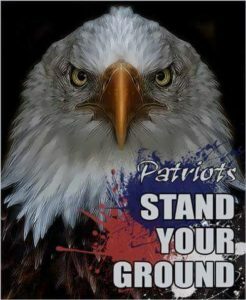 Time for Patriots to Make Our Stand! Article: Radical versus Moderate Islam: Any Relevant Difference? Article: The War for Our Survival is On! « McMaster Must Be Fired … IMMEDIATELY!